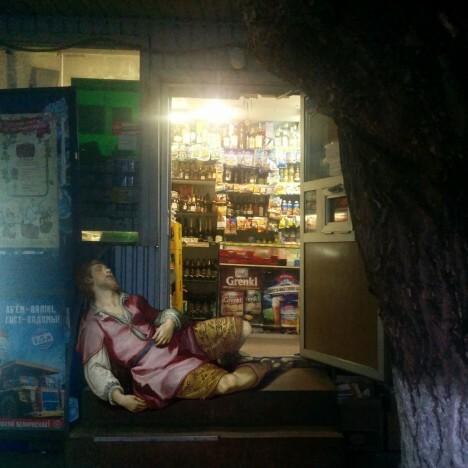 Gods, angels, cherubs and human mortals from famous historical artworks can be found browsing the beverage display at the corner store, passed out in front of the liquor shop, or riding the bus with an aptly bored expression in these clever remixes. 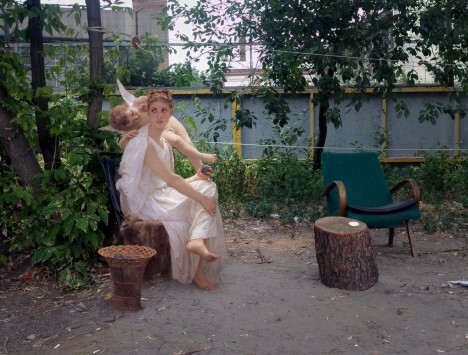 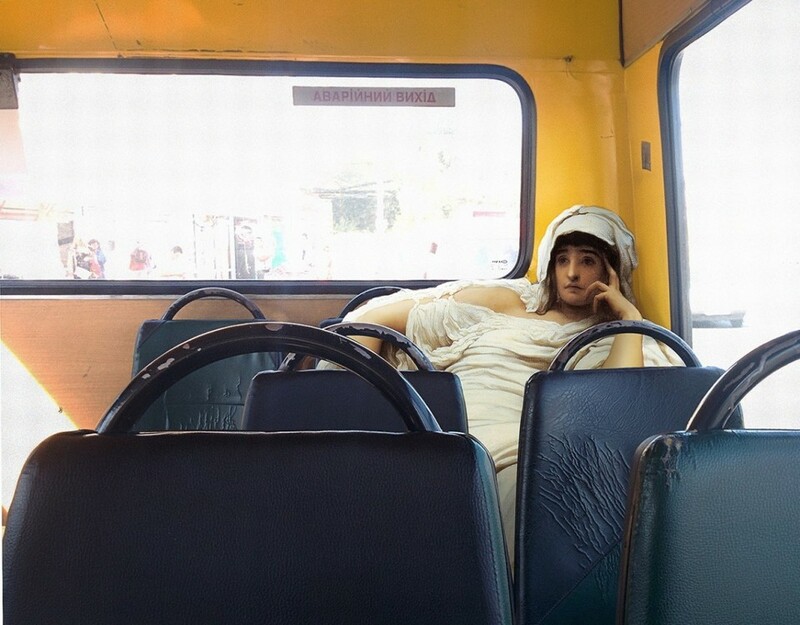 In his ongoing series Art History in Contemporary Life, Ukrainian artist Alexey Kondakov continues to document a fictional world in which ancient figures find themselves transplanted into modern cityscapes. 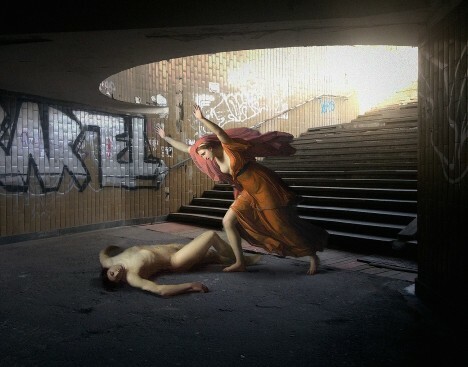 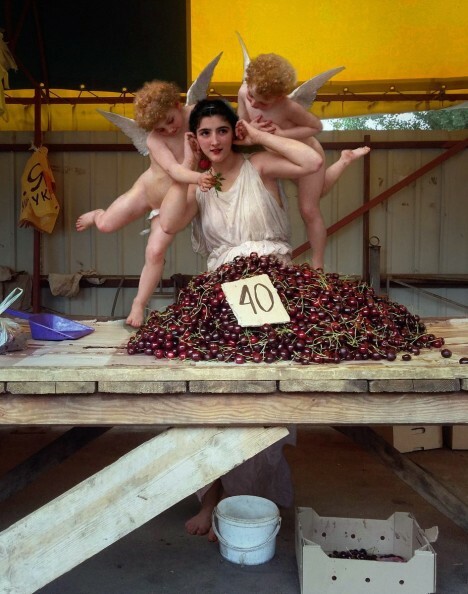 Among his hacks: Cesar van Everdingen’s Bacchus, Caravaggio’s David and Goliath and William-Adolphe Bouguereau’s Nymphs and Satyr, all hacked to fit into new times and places. 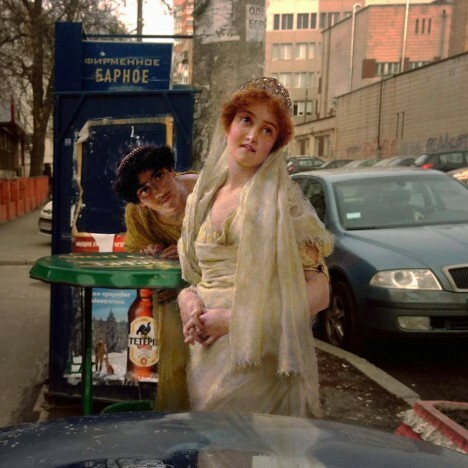 The scenes are so expertly edited it is left to the figures themselves to stand out from each setting through their actions or attire. 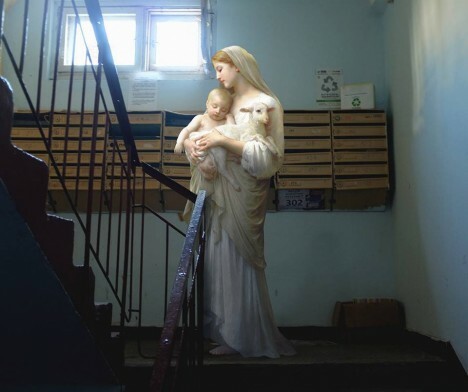 Madonna, child and lamb are, for instance, a bit of a strange find in an old apartment staircase and cherubs generally aren’t seen on the Earthly plane, at least by ordinary people.